A professional wedding playlist can seem daunting at first. It's true, it's much harder than it looks. Sure, it's all songs you know and love but where the trickery comes in is: will your entire audience love it? Everyone wants a wedding where the dance floor is lit all night, but to maintain a lit dance floor, there are a few tips and tricks to help along the way! What will everyone dance to? Will the dance floor get packed? Will my guests stay late? Is hiring a DJ worth it? Should guests be able to request songs? How do I know if I'm on the right track? Not to worry. With our certified soundtracks and the right DJ, your wedding won't want to end. Although, your feet may feel different. Here are the answers you've been looking for! The majority of our 'case music' are well known songs and artists. No one wants to listen to new, trendy, or cool music you found from this trending artist on the dance floor. It's not the time or place for it. People want to listen to music that they know the moves to or know all of the lyrics and can sing along to! What brings people onto the floor is watching everyone else have fun and dance! The majority of guests love line dances in particular, even if you aren't a huge fan. It's the honest truth. If you aren't a huge fan, you have to ask yourself what's more important: listening to a song you don't care for or having a bare dance floor? Sometimes you can escape having no line dances if you've packed the night with timeless songs to sing to though so keep this in mind! Your guests won't want to leave if you have set up the right playlist! The only way you'll get them off the dance floor is if they are exhausted or they aren't into the music. But by following these tips and tricks, we're setting you up for success! A legitimate question is if it's worth spending the money on a DJ and we understand the question! Some DJs do nothing more than press play and skip to another song. We believe there is more to a DJ than other companies. We'd even stake our livelihood on it. A DJ is someone who guides you into the best night of your life. They help you choose crucial moments of your night while delivering not only a great dance floor but also seamless moments like announcements to let everyone in on what's going on. I'm sure you've been to those weddings before where you had no idea they cut the cake already. We aim to work with other vendors the day of so everyone's on track and if not, we're there to put us back on so that you can enjoy your greatest day with zero stressors. Having guests requests songs isn't something most couples think about before the big day. In fact, it seems like not a big deal. Let's walk you through it. Whether you have a particular taste or not, there's always going to be the factor of 'Did my guests enjoy themselves', right? Well, not so much. They could be hurting the chances of your other guests enjoying themselves. We understand you care about your guests having a great time, and we value that as well! If one of your guests requests a song, you could run the chances of a.) It being a song that you really don't like which could sour your mood or b. )It could be an unknown artist or song and therefore everyone leaves the floor because they don't know what to do with their hands. On the other hand, we believe it's a great way to include your guests and make them feel a part of your day. The choice is up to you, we just think it's a great thing to think over before your day! There's a great rule out there and we'd love to share it! The famous Pareto Principle aka the 80/20 rule. This goes for most things in life, but it also works for your big day! As far as open dance goes, 80% of your music should be upbeat, fun, and well known, while the other 20 should be slow (like anniversary dances, first dances, last dances, etc). This allows everyone to get into a groove and it also plays to everyone's styles. Then you have your ceremony, cocktail hour and dinner music, which should be your style. This is the time to play slower songs that you absolutely love and it doesn't matter so much if no one else loves it, because you aren't trying to fill a dance floor. This will help keep your day of music on track! If you are interested in multiple genres, this is to be expected! 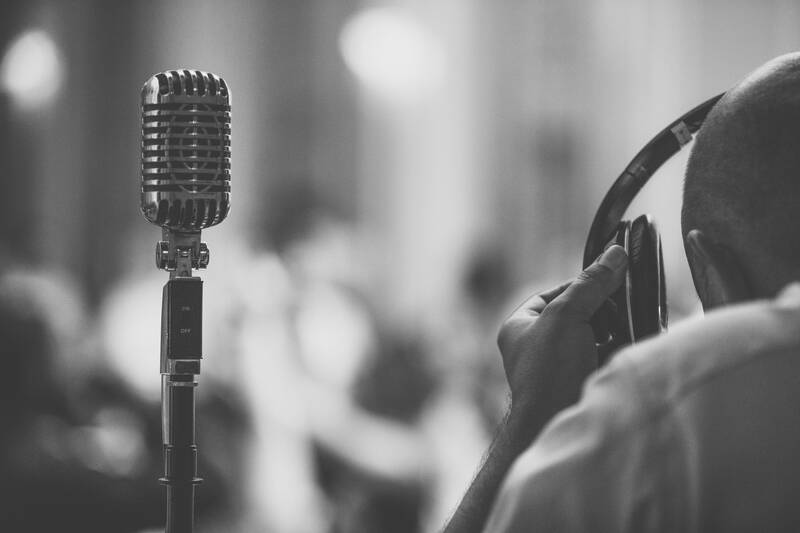 Experienced DJ companies should be able to integrate genres together by reading the crowd and by doing so, they are able to please multiple different guests tastes by synthesizing the wedding songs together. Great Grandma Betty sitting at table 1 could be a big fan of Neil Diamond while your Maid of Honor at the head table likes to dance to the Wobble. As mentioned above, the DJ hired by the company should also be able to read the crowd and play songs to get the guests up and moving to well known dance songs during the wedding reception! This is a crucial part in the DJs career. Being able to read crowds isn't an easy task, it takes attention to detail and considerate timing. When done just the right way, it gets all of your visitors up and engaged. If you are more of a singer and less of a dancer, choose popular songs that you and your guests can sing to. Same goes with dancing. Guests want to feel included in the wedding in some way, because it's the biggest day of your life. So by choosing songs that are most comfortable for you, they can also be a part of it. You can also have your guests request songs at the reception. This can be a good way to get guests involved as well. The only hitch is, if they choose a song you don't like, chances are you won't know about it until it's played. But if you're up for the challenge, it's a gratifying moment for the guest and their friends alike to sing all night long. And while these are good ideas, ultimately go with what you and your guests will love! Your wedding day is a memorable night for all! By choosing the perfect wedding reception playlist, you are setting the stage for the night. Dancing to your favorite songs with your favorite people on the greatest day of your life is easily one of the best memories you will ever make whether that be to Daft Punk, Billie Jean, Michael Jackson, the Righteous Brothers, Etta James, or the classic Don't Stop Believin. Don't forget to take a breath here and there. Other than that, you're all set! If you're also in need of a DJ, feel free to get a quote here or contact us here!